Veteran revolutionary and journalist Ky Phuong (also known by the the alternative pseudonym, Tran Phong) passed away on May 10 in Ho Chi Minh City at the ripe old age of 90. 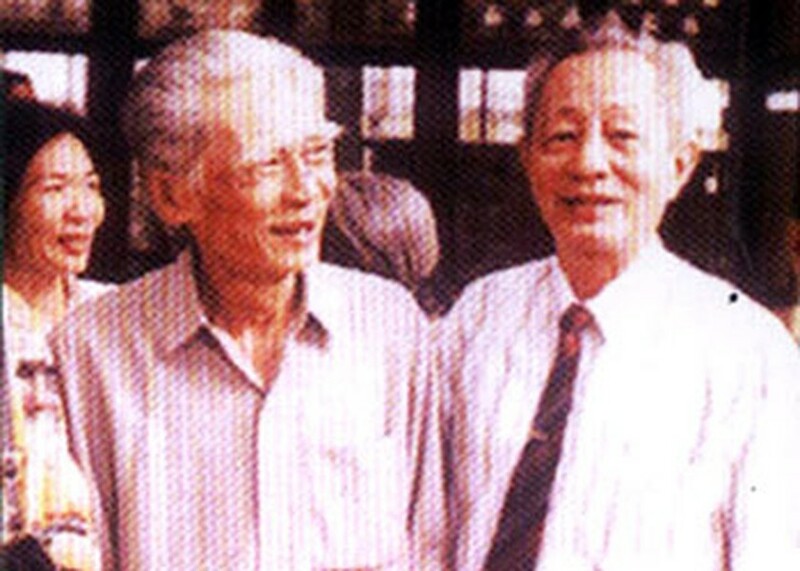 Veteran revolutionary and journalist Ky Phuong (also known by the the alternative pseudonym, Tran Phong) (L) and journalist Tran Tam Chi of the Giai Phong (Liberation) Newspaper. The journalist worked in the newspaper industry for over half a century. He served as editor-in-chief of newspapers Cuu Quoc (National Salvation) and Giai Phong (Liberation). Journalist Ky Phuong (or Tran Phuong), whose real name is Le Van Thom, was born in the Mekong Delta city of My Tho in 1921. He joined in the revolutionary movement against French colonial rule in 1940 in the My Tho and Ben Tre Provinces. He was admitted to the Indochinese Communist Party in 1945. Mr. Phuong undertook an assignment in Hanoi in 1946 and traveled to Beijing, China where he studied at the Marx-Lenin Institute from 1949 to 1952. He served as editor-in-chief of the newspaper Cuu Quoc (National Salvation) in the North in 1958. After the National Reunification Day on April 30, 1975, he became an assistant to the editorial boards of three newspapers including Tin Sang (Morning news) and the Buddhist publications Giac Ngo, and Cong Giao va Dan Toc (Catholicism and Nation). He also headed the Municipal Party Committee's Public Relations Board and served as secretary general of the Vietnam Buddhist Institute of HCM City. His service to the country is a shining example that modern Vietnamese journalists may follow.